Does social media “work” for your business? Can you measure the ROI of your social media efforts? If you are like most businesses, probably not. Why? There may be many reasons but chief among them is a lack of clearly defined expectations and goals. Do you have a set number of LEADS or SALES that should be secured through your social media efforts? How much is each sale “worth” to your company? Is it reasonable to spend up to $20.00 for each new sale you make? How about $50.00? $100.00? Let me introduce you to social headhunting. If you look up the term “social headhunting” in Google, you will not find a definition. This is because it is a term we have coined here at DotCom. We have been running social headhunting programs for a select number of clients for months and the results are excellent. Now it is time to share it with you. Facebook and LinkedIn have very powerful tools which allow you to find groups of people who fit your very specific “perfect criteria”. 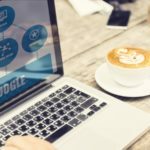 If you are not familiar with their advanced search and filter tools, you are missing out on the real power of social media. Let’s say you are sell hand-made antique rugs in the New York City area. Your perfect client would be an interior designer, a CEO-level person because you don’t want to waste your time with a rank-and-file sales person who is within 50 miles of your location (because shipping these rugs can be expensive). Because this is a B2B situation, we would use LinkedIn. As you can see, we have found 2,389 people who fit this profile. That is 2,389 people who are a PERFECT fit for your business. You sell specialized tools for commercial printers. You are looking for commercial printer repairmen anywhere in the country. We found 42,534 people who fit this profile. You are a business consultant who works with companies who employ between 50 and 100 employees and work in the healthcare industry. 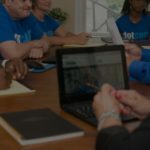 You want to connect with only C-level executives or managers. We found 80,324 people who fit this profile. You sell high-end home theater equipment. You are looking for men who make over $100K, are homeowners, are single, and are interested in Football (NFL). Well, you’ll probably need to cut this down even further because we are well over a million people. 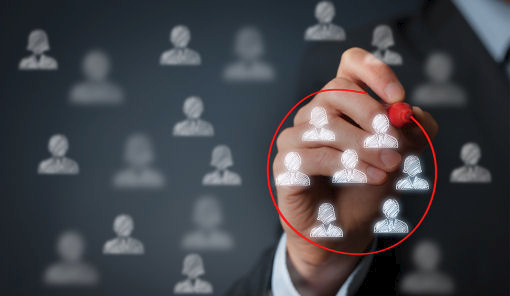 Once you identify the individuals within your target group, it is now time to contact each of them directly. A carefully crafted script that is boilerplate (thousands of these will be going out, eventually) … without sounding boilerplate is critical. It is important to make a great first impression … you may not get a second chance. Developing a relationship is the hardest part. Tracking all of this activity and ongoing communication is tough. You must be responsive (no one is interested in talking with someone who takes 3 and 4 days to get back to each comment or message). Maintaining hundreds of important social conversations requires skill and organization. We have found that almost half of the “best connections” we have made on behalf of our clients required a second and even a third “prompting” to get the conversation moving. How do you maintain hundreds or even thousands of conversations without allowing dozens of important ones to slip between the cracks? A good CRM is a good start. We recommend infusionsoft, though there are plenty of other good ones. Tip: Remember, each of these conversations is with your PERFECT TARGET CLIENT … each one of them must be handled with the utmost respect and care. 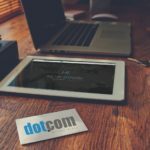 DotCom has developed a rotation plan which allows us to make new connections on a weekly basis while not dropping the ball with existing conversations. We’ll gladly help you develop a rotation plan that works for you. The volume of conversations you wish to maintain will change the rotation plan that will work best for you. human beings while simultaneously moving people to action is part “art” part “science”. Remember, we have goals to achieve. All of this time and effort costs money. That is why we believe in very specific scripts to be followed. Each business is different. The “selling cycle” for a t-shirt is completely different than the selling cycle for a new car. Each business will have its own unique script. However, under no circumstances should you ask for their business within the first 2 or 3 conversations. Develop a connection and “lead them” into asking what you do. Do not ambush them. Social Headhunting is powerful but it takes a lot of effort and time. For this reason, many of our clients have chosen to outsource all of this work to us. Our team makes the connections, develops the relationship and strives to move people into a phone consultation as quickly as is reasonable. In short, we do all the work and set you up with qualified leads who have asked to get on the phone with you. It is difficult to generalize results of social headhunting campaigns when our clients are so different from each other. The prices of their goods and services range from a couple hundred dollars per item to hundreds of thousands of dollars per item. So the cost of acquisition ranges dramatically from client to client. Note: We consider a LEAD to be a person who asked to get on the phone with our client. They are pre-qualified and are interested. Are you interested in having us plan and/or execute your Social Headhunting Campaign? It may change the way you view social media forever!